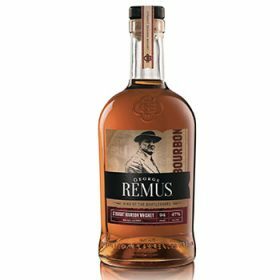 Leading third-party spirits producer MGP Ingredients has unveiled George Remus Straight Bourbon – a high-rye blend of Bourbons aged for more than four years. Described as a “smoother, more complex” whiskey, George Remus Straight Bourbon is made at MGP’s 170-year-old distillery in Lawrenceburg, Indiana. It has a hint of “vanilla”, a “maple” aroma, and a “sweet-yet-characteristic rye flavour”. MGP acquired George Remus in November 2016 from Cincinnati-based Queen City Whiskey, and has been building on the brand’s local reputation in Ohio and Kentucky. “We’re whiskey lovers and are very proud to offer this updated styling of George Remus Bourbon,” said Andrew Mansinne, vice president of brands, MGP Ingredients. The George Remus brand portfolio currently consists of three expressions: George Remus Bourbon Whiskey, George Remus Rye Whiskey and George Remus Limited Edition Rye Whiskey. The brand’s namesake, George Remus, was a bootlegger who owned whiskey distilleries and warehouses in the greater Cincinnati area during Prohibition, including Lawrenceburg, Indiana, where MGP’s premium distillery is based. George Remus Straight Bourbon Whiskey has an RRP of US$44.99 per 750ml bottle, and is available in Ohio, Kentucky, Indiana, Kansas, Missouri, Wisconsin and Nebraska, and in Minnesota as of 1 July 2017.